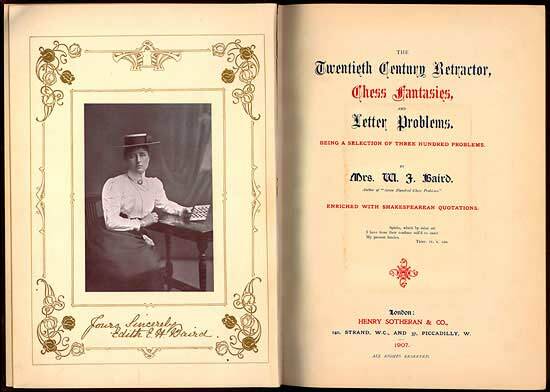 Mrs W. J. Baird published a book called Seven Hundred Chess Problems in 1902 (this book was digitalized by Anders Thulin and is available for free along with many other chess composition books at his web site ). 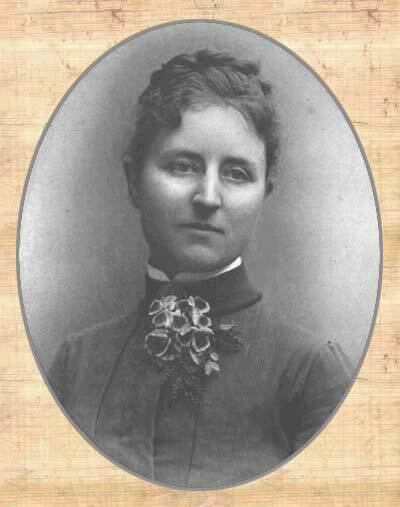 Mrs. Baird was born Edith E. Helen Winter-Wood in Brixton, England on February 22, 1859. 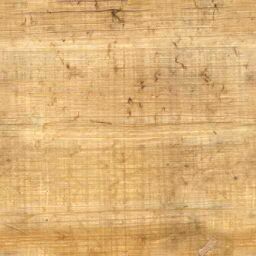 She was the daughter of Thomas Winter-Wood. 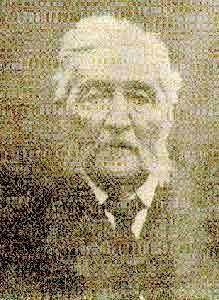 Her father, who died in 1905 at age 87, was a chess player and a problemist, as were her brothers, Thomas Winter-Wood and Carslake Winter-Wood. 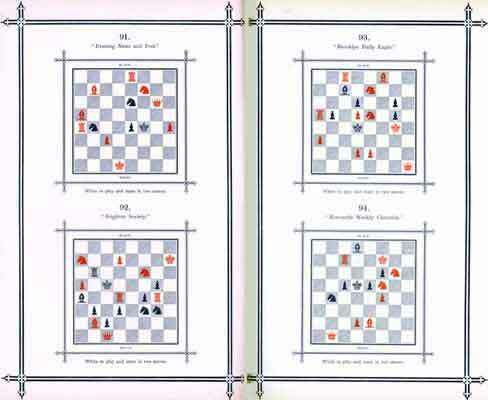 Eventually her daughter, Lilian, also became a chess problem composer. But Edith was the best of all of them. In her books, she tended to follow the custom of the day by referring to herself as Mrs. W. J. Baird. 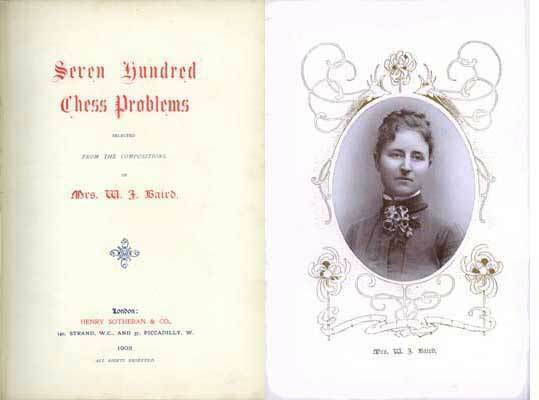 Mrs. Baird published over 2000 chess problems in her lifetime. Although she won many awards, winning first place in the Hackney Mercury three-mover tournament in 1893 was her highest achievement. Edith Baird died on February 1, 1924 in Paignton, England. 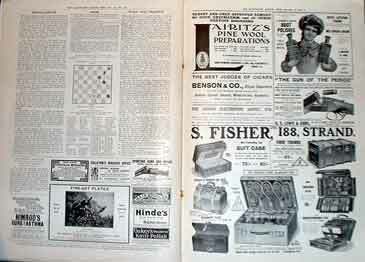 an Edith Baird problem as it appeared in the Illustrated London News 9-18-1909.